The 2016 Ford F-150 from nearby Las Cruces, NM leads the way for Ford’s winning streak with the F-Series. For decades, the lineup has remained as America’s best-selling trucks. Heavy-duty capabilities, stout power, and upscale appointments are hallmarks for these models, and the 2016 Ford F-150 perfectly exhibits all of these qualities. It combines off-road grit with modern features for a pick-up truck that’s ready for tough applications and looks good on urban streets. 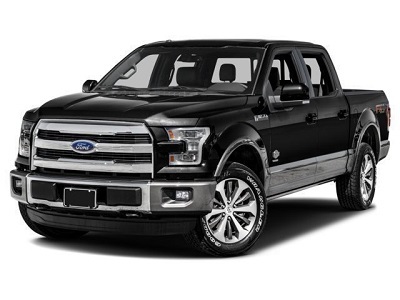 Truck shoppers of all stripes will definitely find much to like in the 2016 Ford F-150. From the outside, this is an imposing truck and rightly so.The 2016 Ford F-150 near Las Cruces, NM comes with a military-grade aluminum body. This enhances towing capabilities and fuel economy. In addition, the truck’s taillights and LED headlights are engineered to consume less energy. This entry was posted in Business on April 11, 2016 by Domingo.